Linz is the third-largest city of Austria and capital of the state of Upper Austria (Oberösterreich). It is in the north center of Austria, approximately 30 kilometers (19 miles) south of the Czech border. The population of the city is 204,846, and that of the Greater Linz conurbation is about 789,811. Straddling the Danube River midway between Salzburg and Vienna. Baroque buildings, including the Old Town Hall (Altes Rathaus) and the old Cathedral or Alter Dom, Ring Hauptplatz, the Old Town’s main square. The riverside Lentos Kunstmuseum Linz has a major modern art collection. Across the river, the striking Ars Electronica Center focuses on society, technology and life in the future. In 2009 Linz, together with the Lithuanian capital Vilnius, were chosen as the European Capital of Culture. Since December the 1st 2014, Linz has been a member of the UNESCO Creative Cities (UCCN) network as a City of Media Arts. Cities receive this title for enriching the urban lifestyle through the sponsorship and successful integration of media art and involving society in these electronic art forms. Linz is well known for the Linzer torte, which is said to be the oldest cake in the world, with its first recipe dating back to 1653. The invention of the Linzer Torte is subject of numerous urban legends; reporting on a Viennese confectioner named Linzer (as given by Alfred Polgar) or the Franconian pastry chef Johann Konrad Vogel, who in 1823 started mass producing the cake that bears it name and that made it famous worldwide. The Austrian traveler, Franz Hölzlhuber, allegedly brought the Linzer Torte to Milwaukee in the 1850s, whence the recipe spread over the United States. 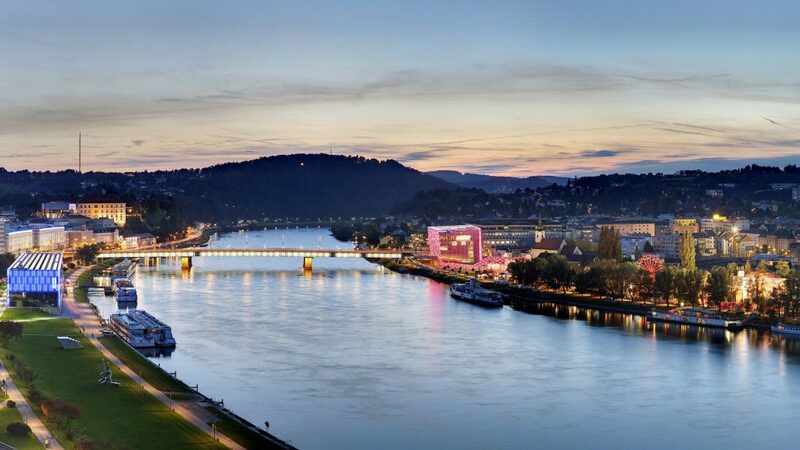 Aside from the gastronomical pleasures, culture, and art, Linz has a lot more to offer with numerous events, festivals, nature, and various free entry events and museums!